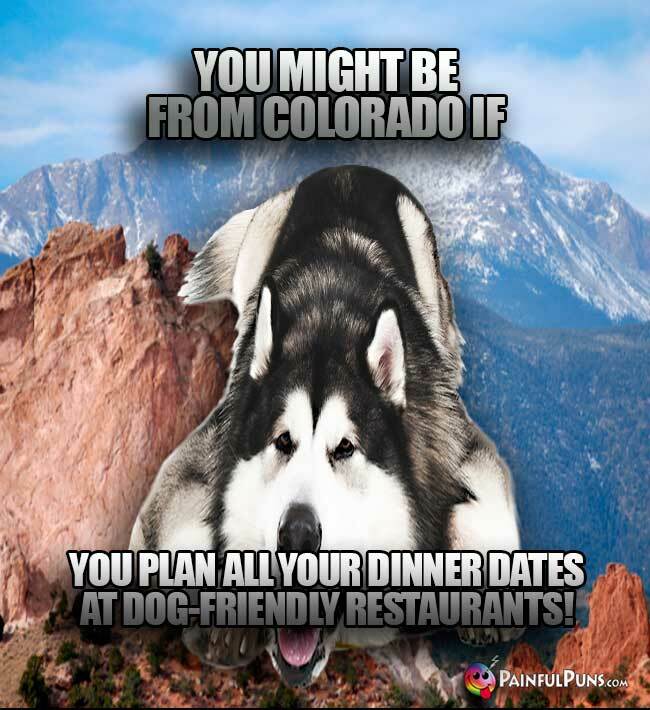 Find adoptable pet jokes, tame animal humor, feather funny puns and some horsing around. 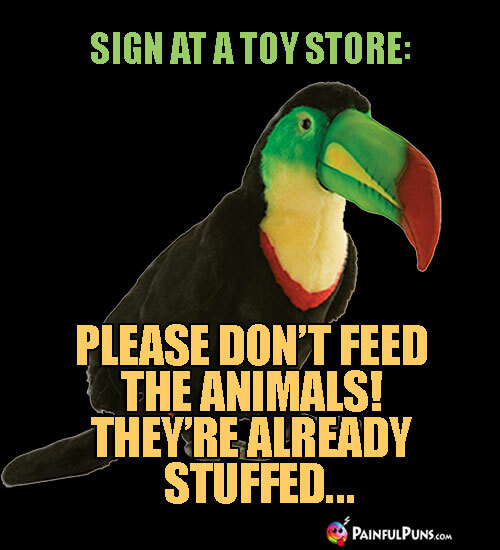 Warning: Please Don't Pet the Animals! 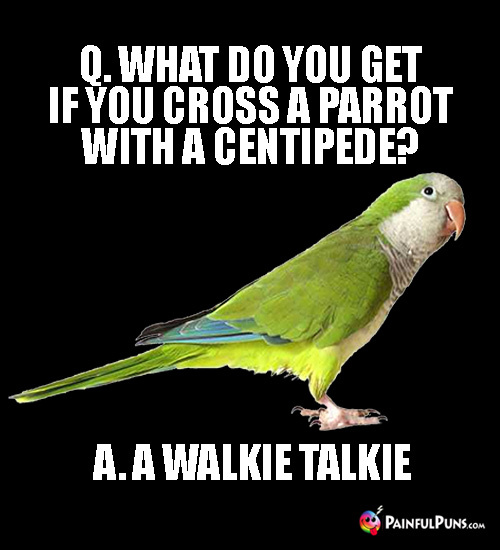 Furry funny pet jokes ahead – feather you're ready or not. Q. What do you call the pet canary that flew into a pastry plate? Q. Why do pet crows and ravens tell really dumb jokes? Q. 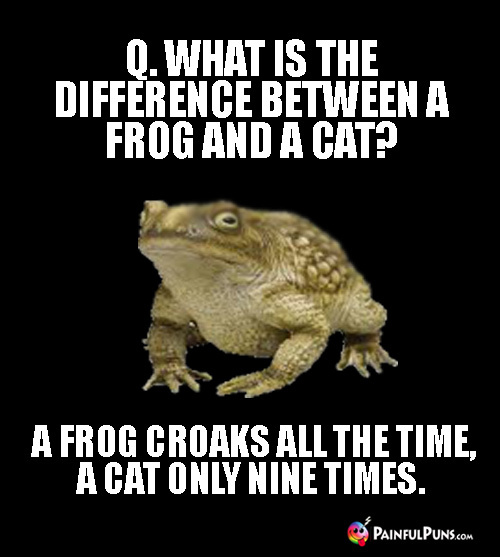 What do you call the pet kitty cat who was caught by the police? Q. What do you call it when a pet cat wins the dog show? A. A Cat Has Trophy! 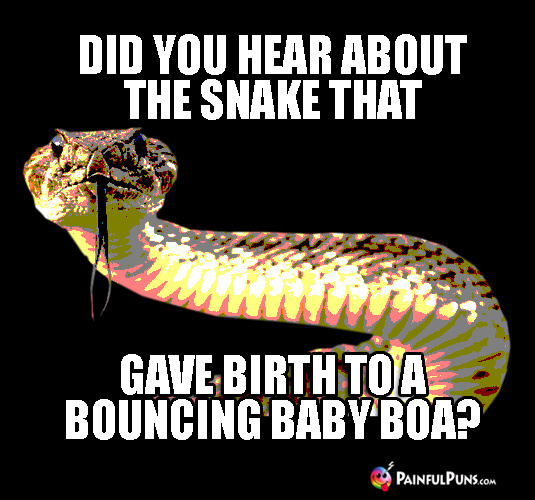 Snakes really enjoy hisss-terical puns! Q. How does a snake shoot something? A. With a boa and arrow. Q. What do you call a snake that's not wearing clothes? Q. What kind of bird doesn't need a comb? Q. 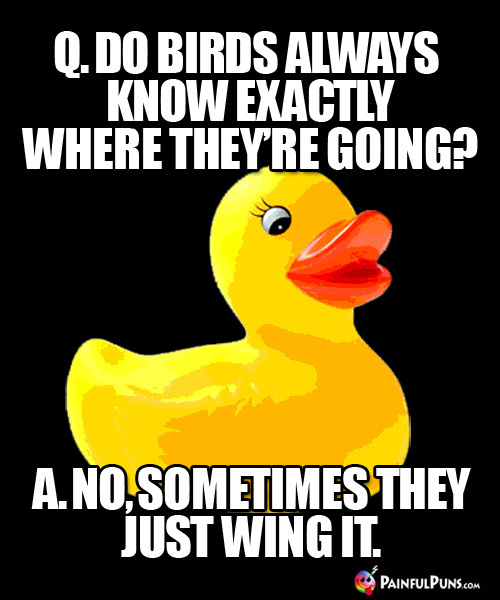 What happens if a duck flies upside down? Q. 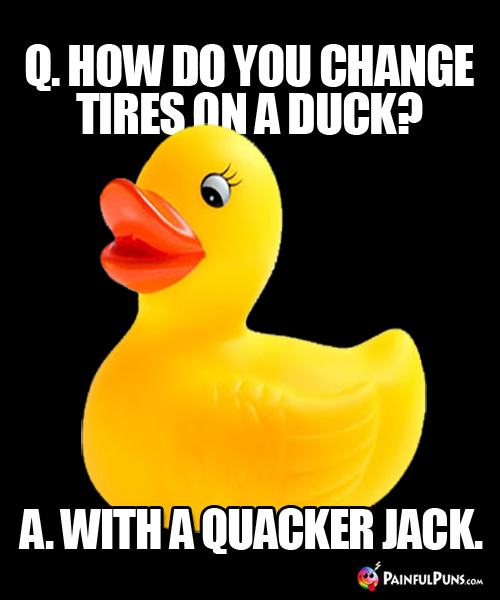 What do you call it when it rains ducks and geese? Q. 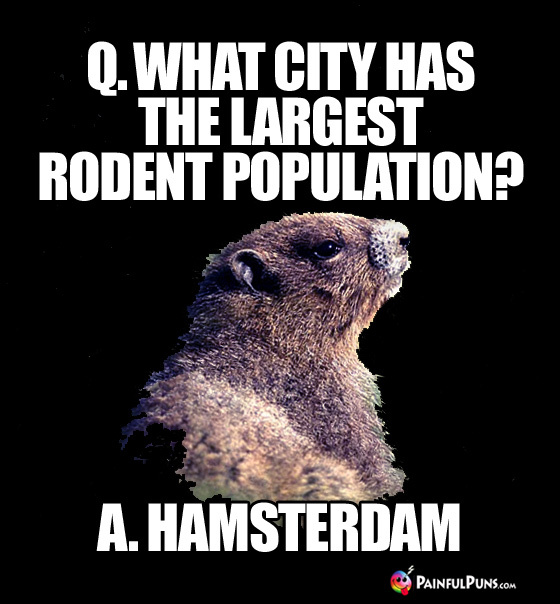 Why did the blonde's pet rodent eat a candle? A. It wanted a light snack, duh. Q. Which pet animal is small, furry, and smells like bacon? Q. How do you save a drowning rodent? A. 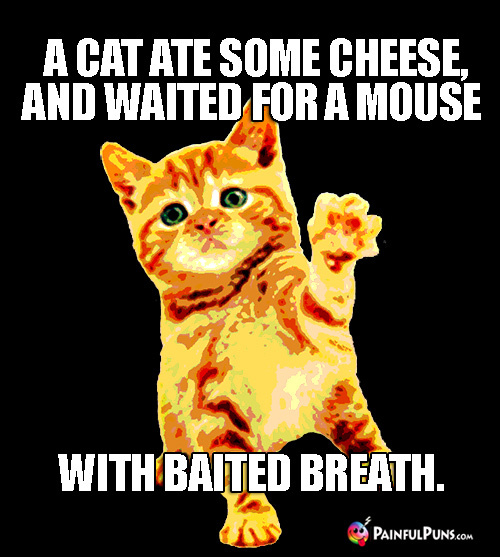 With mouse to mouse resuscitation! Q. 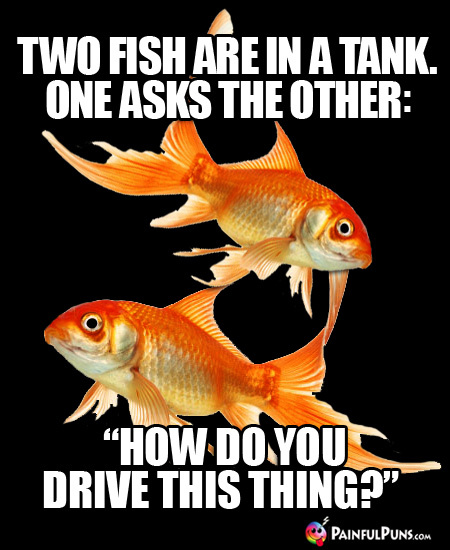 What party game do pet goldfish like to play? Q. Why are pet goldfish orange? A. The water makes them rusty. Q. What do you call a smelly fish? Q. What do you get when you cross a pet canary and a lawn mower? Q. 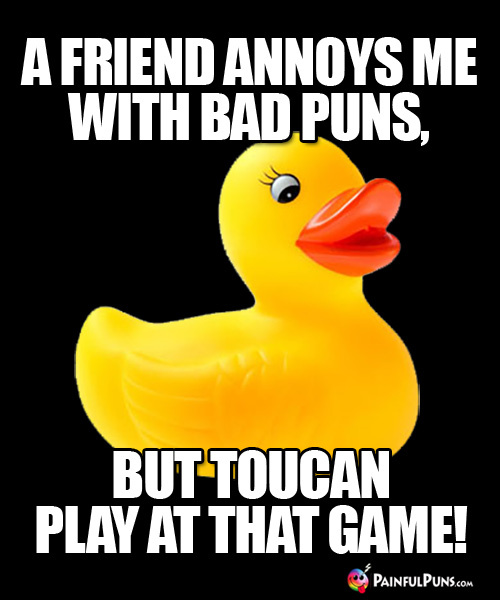 What do you call a very rude and obnoxious bird? Q. 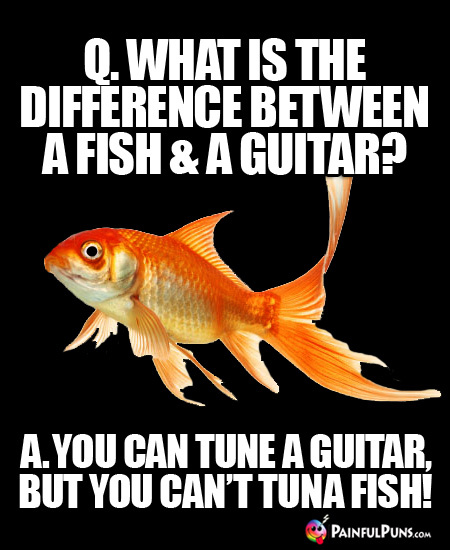 What kind of fish plays the guitar? Q. 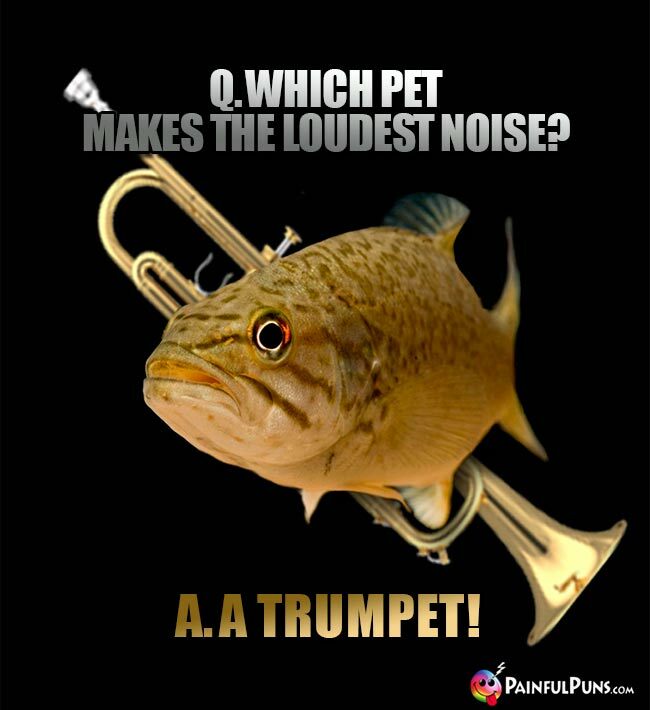 Which game show do pet fish enjoy most? Q. What is a pet duck's favorite television program? A. The daily feather forecast. Q. Who stole the soap? Q. 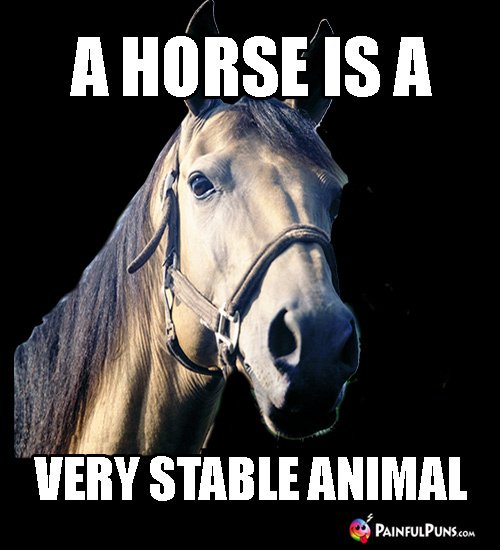 What is a horse's favorite state? Q. What is a horse's second favorite state? Q. What do you call a pig with no legs? Q. Why shouldn't you ever tell your pet pig a secret? A. 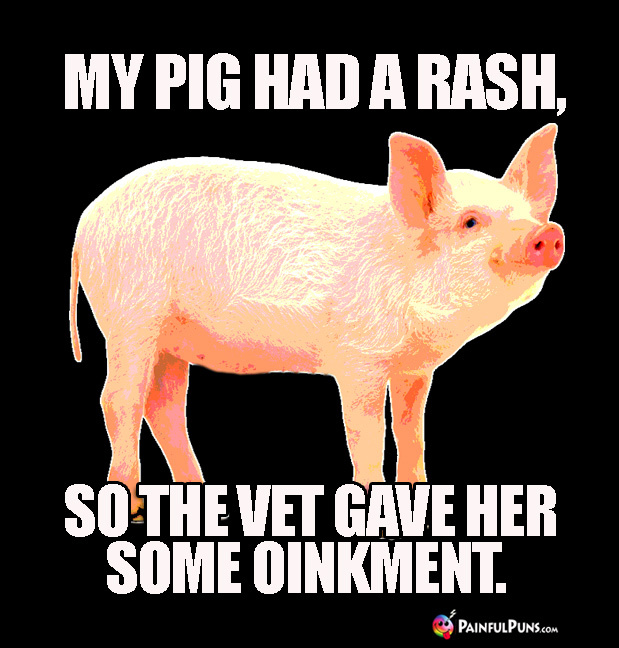 Because they always squeal! Q. What do you say to a hitchhiking frog? Q. Why was the tadpole feeling so lonely? A. Because he was newt to the area.